The number of atopic dermatitis patients in South Korea tends to peak in May partly due to fine and yellow dust, a state-run health agency said Tuesday. 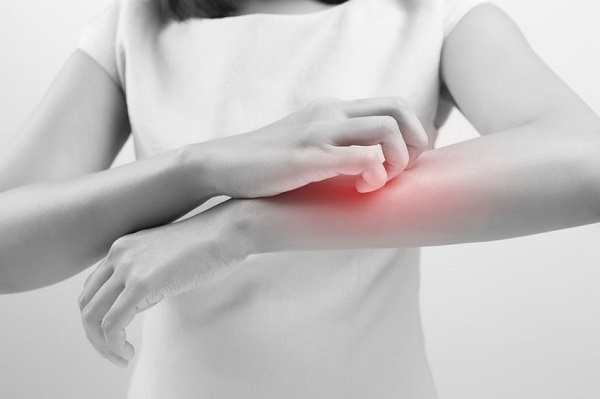 According to the Health Insurance Review and Assessment Service, the number of people who visited hospital for atopic eczema was the highest in May as of 2015, at about 150,000 patients. The figure is 27 percent higher than November, the month with the fewest atopic patients. Various factors such as dry weather, pollen, fine dust and yellow dust may be behind the spike in atopic skin problems in May, the HIRA said. It noted that a high concentration of fine dust in the air, which South Korea has witnessed in recent years, could damage the skin directly as it contains acidic components, causing symptoms such as itching, rash and fever. Substances that compose fine dust can cause respiratory and cardiovascular disorders. Eyes and skin are especially prone to diseases to as they are directly exposed to fine dust.